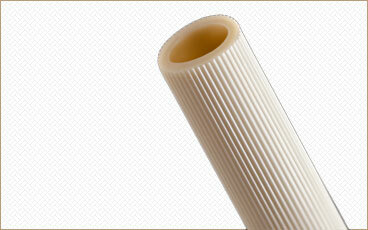 Zeus leads the industry in the extrusion of precision tubing made from Teflon®. Since the 1960's we have been recognized as a pioneer in the polymer tubing industry and have introduced breakthrough developments such as thin wall PTFE Sub-Lite-Wall® tubing (0.0015" wall thickness).Zeus specializes in extruding custom tubing and special profiles. 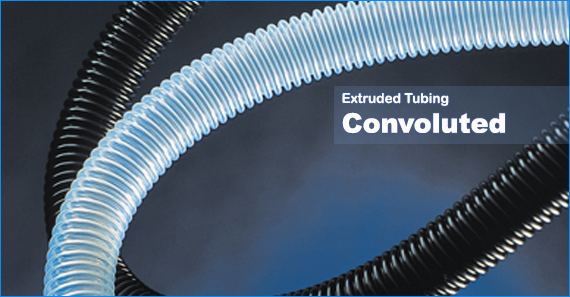 Tubing variations are boundless with a wide variety of additives and secondary services available.Zeus Heavy Wall PTFE Tubing is ideal for automotive, chemical, and mechanical applications. It is also highly acceptable for use as laboratory ware or in conjunction with critical fluid handling equipment and applications –from precision minimally invasive medical devices to high-performance aerospace sub-components. 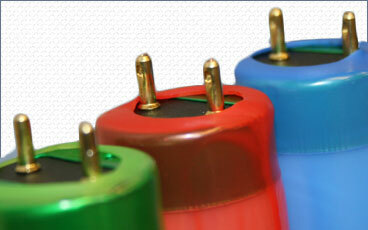 The “tube-in-tube” design does not introduce contaminants during the installation process. 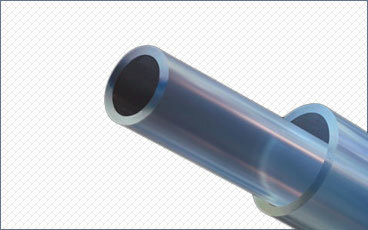 - Long, continuous lengths can be maintained without welding or heat bending processes. 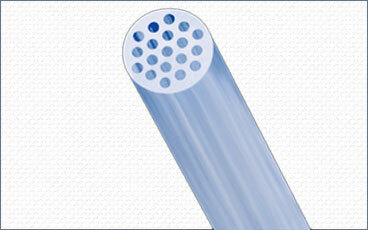 Zeus Double Containment tubing exceeds the stringent requirements of the SEMI F57 specification. We also offer a wide array of semiconductor industry standard and custom sizes, as well as options for material combinations. Lay-Flat tubing was traditionally designed to meet the needs for ultra-thin walls in the lighting and roller industries, but now has applications in many medical and industrial markets. 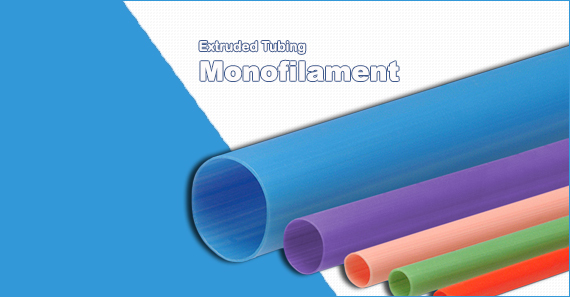 Lay-Flat tubing made of high performance polymers offer strength, lubricity,chemical inertness, and biocompatibility.Lay-Flat Tubing is the perfect solution for protection and build-up prevention that is required for Laser Printers,Copiers,Plain Paper Fax Machines,Petroleum Industry, Speciality batteries etc. Zeus Dual-Tube® is a superior, easy handling fluoropolymer tubing used for water monitoring and other critical fluid management applications. 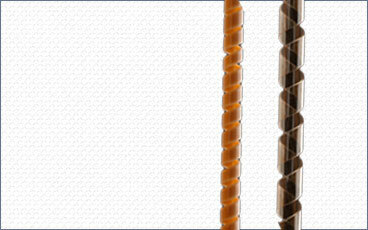 It is produced as a single unit of two independent tubes of similar or variable sizes that stay together until separation is required .Zeus Dual-Tube® is supplied in smooth, tangle-free, and extra long continuous lengths which are tough, durable and chemically inert so that sample properties cannot be affected.Long-term exposure to contaminants will not impair performance, and it is simple to clean and reuse. Samples obtained remain pure and free of mineral and organic sediments. 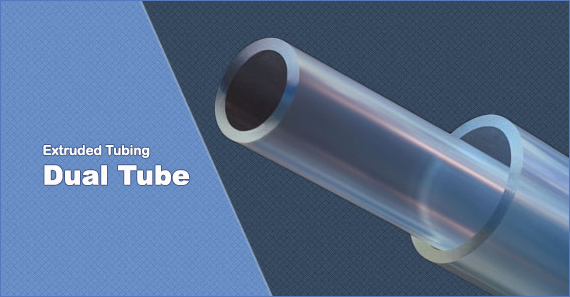 Zeus Dual-Tubes® can be manufactured from FEP and Polyethylene in a variety of configurations.Once separated, the surface of each tube is smooth and contains no flaws, flat spots, ridges, or other defects that can interfere with sealing. It can be connected or disconnected as often as required..